Is the Lord Jesus Saying "It Is Finished" Upon the Cross Proof That God's Work of Salvation Is Already Completely Finished? You are here:Home » Bible Study Topics » Knowing Jesus » The Crucifixion and Resurrection of Jesus Christ » Is the Lord Jesus Saying “It Is Finished” Upon the Cross Proof That God’s Work of Salvation Is Already Completely Finished? Answer: Most people in the religious world believe that the Lord Jesus saying “It is finished” upon the cross is proof that God’s work of salvation is already completely finished. And yet you testify that the Lord has returned in the flesh to express the truth and to do the work of judgment beginning with God’s house in order to save people utterly. So exactly how should one understand God’s work to save mankind? We are unclear on this aspect of the truth, so please fellowship this for us. Almighty God says: “To man, God’s crucifixion concluded the work of God’s incarnation, redeemed all of mankind, and allowed Him to seize the key to Hades. Everyone thinks God’s work has been fully accomplished. In actuality, to God, only a small part of His work has been accomplished. He has only redeemed mankind; He has not conquered mankind, let alone changed the ugliness of Satan in man. That is why God says, ‘Although My incarnate flesh went through the pain of death, that was not the whole goal of My incarnation. Jesus is My beloved Son and was nailed to the cross for Me, but He did not fully conclude My work. He only did a portion of it’” (“Work and Entry (6)”). “Though man has been redeemed and forgiven of his sins, it is only considered as God not remembering the transgressions of man and not treating man in accordance with man’s transgressions. However, when man lives in the flesh and he has not been set free from sin, he can only continue to sin, endlessly revealing the corrupt satanic disposition. This is the life that man leads, an endless cycle of sin and forgiveness. The majority of men sin in the day only to confess in the evening. As such, even if the sin offering is forever effective for man, it would not be able to save man from sin. 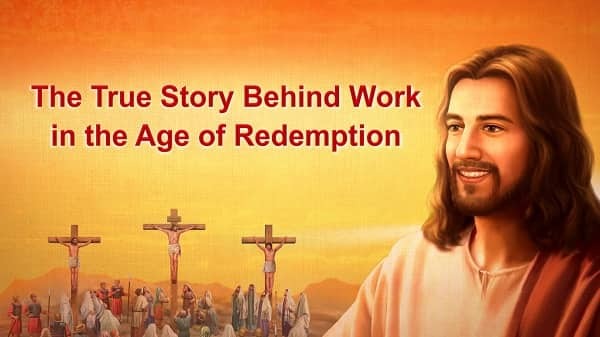 Only half the work of salvation has been completed …” (“The Mystery of the Incarnation (4)”). “You only know that Jesus shall descend during the last days, but how exactly will He descend? A sinner such as you, who has just been redeemed, and has not been changed, or been perfected by God, can you be after God’s heart? For you, you who are still of your old self, it is true that you were saved by Jesus, and that you are not counted as a sinner because of the salvation of God, but this does not prove that you are not sinful, and are not impure. How can you be saintly if you have not been changed? Within, you are beset by impurity, selfish and mean, yet you still wish to descend with Jesus—you should be so lucky! You have missed a step in your belief in God: You have merely been redeemed, but have not been changed. For you to be after God’s heart, God must personally do the work of changing and cleansing you; if you are only redeemed, you will be incapable of attaining sanctity. In this way you will be unqualified to share in the good blessings of God, for you have missed out a step in God’s work of managing man, which is the key step of changing and perfecting. And so you, a sinner who has just been redeemed, are incapable of directly inheriting God’s inheritance” (“Concerning Appellations and Identity”). So, exactly how to make us stop sinning, shed our sinful nature entirely, and become sanctified so that we can see God’s face? Today the words of life that God has expressed in His second incarnation has shown us the path to receiving complete salvation: “The sins of man were forgiven because of the work of God’s crucifixion, but man continued to live in the old, corrupt satanic disposition. As such, man must be completely saved from the corrupt satanic disposition so that the sinful nature of man is completely cast away and never again develops, thus allowing the disposition of man to be changed. This requires man to understand the path of growth in life, the way of life, and the way to change his disposition. It also needs man to act in accordance with this path so that the disposition of man can gradually be changed and he can live under the shining of the light, and that he can do all things in accord with the will of God, cast away the corrupt satanic disposition, and break free from Satan’s influence of darkness, thereby emerging fully from sin. Only then will man receive complete salvation. When Jesus was doing His work, man’s knowledge of Him was still vague and unclear. Man always believed that He was the son of David and proclaimed Him to be a great prophet and the benevolent Lord who redeemed man’s sins. Some, based on faith, became healed just by touching the edge of His garment; the blind could see and even the dead could be restored to life. However, man could not discover the corrupt satanic disposition deeply rooted within him and neither did man know how to cast it away. Man received much grace, such as the peace and happiness of the flesh, the blessing of the entire family upon the faith of one, and the healing of sicknesses, and so on. The rest were the good deeds of man and their godly appearance; if man could live based on such, he was considered a good believer. Only such believers could enter heaven after death, which means that they were saved. But, in their lifetime, they did not understand at all the way of life. They merely committed sins, then made confession in a constant cycle without any path toward a changed disposition; such was the condition of man in the Age of Grace. Has man received complete salvation? No! Therefore, after that stage was complete, there is still the work of judgment and chastisement. This stage makes man pure through the word so as to give man a path to follow. This stage would not be fruitful or meaningful if it continued with the casting out of demons, for the sinful nature of man would not be cast away and man would only stop upon the forgiveness of sins. Through the sin offering, man has been forgiven his sins, for the work of the crucifixion has already come to an end and God has prevailed over Satan. But the corrupt disposition of man still remains within them and man can still sin and resist God; God has not gained mankind. That is why in this stage of work God uses the word to reveal the corrupt disposition of man and asks man to practice in accordance with the right path. 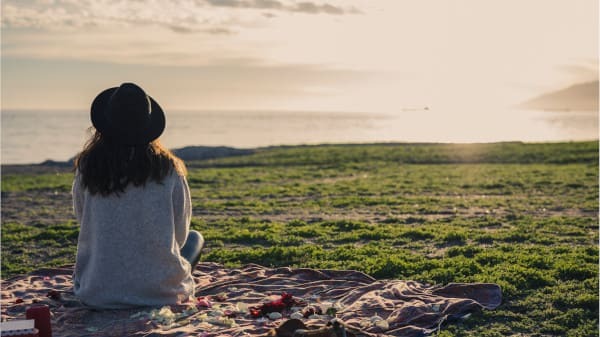 This stage is more meaningful than the previous one and more fruitful as well, for now it is the word that directly supplies man’s life and enables the disposition of man to be completely renewed; it is a stage of work more thorough. 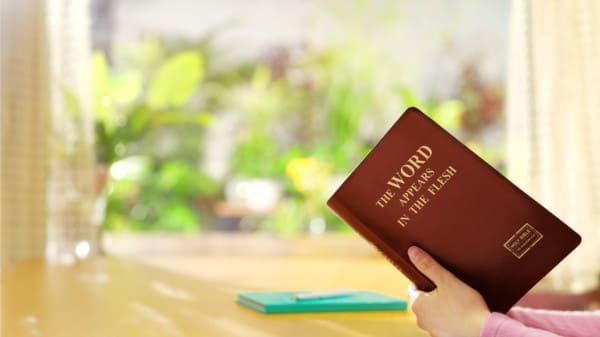 Therefore, the incarnation in the last days has completed the significance of God’s incarnation and completely finished God’s management plan for the salvation of man” (“The Mystery of the Incarnation (4)”). • Enter the Kingdom of Heaven Need Judgment, Why?